It’s not a fairytale. The tech ‘beast’ can be on your side if you want to play a part in the future of luxury fashion & beauty. Picture a large department store in early 20th century France. In a corner, we see two men in animated conversation—one of them trying to sell a small glass flacon to the other. The store is the Grand Magasins du Louvre, one of the largest in Paris at the time. The man with the flacon walks away after a few minutes, unsuccessful but not visibly dejected. Moments later, there’s a tinkle of shattering glass and waves of La Rose Jaqueminot permeate the air. By the end of the day, the story goes, all the bottles Francois Coty sold the buyer were gone, the perfume department had several orders for a scent they didn’t stock (and had no idea existed until that day) and Coty was offered a selling space within the store. Within a few successful years, pioneering Parisian perfumers like Coty began to sell lip cosmetics, lotions and soaps, expanding their empires into what would become a juggernaut of today’s beauty and skincare industry. And when we talk about fragrance and beauty as segments that walk the line between art and commerce, luxury fashion is never far behind. The inseparable Chanel and No.5, for instance, is a testament to the potency of a marriage between the three. This triad has remained both distinct and complementary through the decades, but to continue thriving, it now faces a common challenge: technology. The problems of scale, experience and innovation are not new to fashion and beauty, but ways of handling them have advanced drastically since the 19th century. While most innovations revolved around formulas, packaging and mass production then, today they have taken on new dimensions of digital reach and resonance. Take lipsticks. Well, more like lip colour because it wasn’t a ‘stick’ until metal tubes with levers and swivel tubes were invented in the early 1900s. In the 40s, Hazel Bishop—an organic chemist—conducted over 300 experiments with different prototypes before perfecting a formula for long lasting, ‘no-smear’ lipstick. Today, we have a range of textures from matte to creamy, specialised applicators and even virtual mirrors like Modiface that use augmented reality to try and buy. The tiny tube of coloured wax also turned out to be an economic indicator. Leonard Lauder, the chairman of Estée Lauder Companies proposed a theory called the ‘Leading Lipstick Indicator’ or simply, the lipstick effect where small affordable luxuries sell more during financial recessions. Science and style have always gone hand in hand. It’s no different now when ‘science’ not only includes the science of production, usability and market economics, but also the science of communication channels, data, smart devices and automation. This advancement means that barriers to entry have never been as low as they are right now for entrepreneurs in this space, but the challenges are ramping up in new arenas. Investors are looking beyond business viability into how a fashion or beauty brand looks, talks and feels like on digital. Communication and image are becoming highly central to brand success, as is the larger cultural movement towards the need for authenticity and sustainability. YouTube stars and bloggers dominate this scene, bridging the gap between companies and consumers. Most independent success stories these days begin with ‘I started a blog’. But it also bleeds into real life, as evidenced by this year’s #GenBeauty expo at San Francisco hosted by mail-order beauty subscription brand, Ipsy. Apart from the chockful of luxury brands, these events also leverage the pull of social media stars meeting their fans in person. Influencers bring with them their own personal and professional values too. The current marketing trend to align campaigns with social issues is a double-edged sword (the latest in the line of brand gaffes is the firing of L’Oreal’s first transgender model Munroe Bergdorf ), but brands that do it right have a long association and a close identity tie-up with the issues they champion. Ipsy’s about equal opportunity, Nyx Professional Makeup is ‘proudly cruelty-free’ and Lush makes the world a better place with sustainability ‘one bath bomb at a time’. On the retail side, activations and pop-ups are becoming more technically complex than ever. The avant-garde light and sound installation at the Met Gala’s Instagram booth this year was a celebrity magnet, pitching luxury fashion and beauty into an immersive fantasyland. With virtual reality shows, 3D projection mapping ,experimental stage designs and advanced installations, tech is in its visual element. One step to the left and we have the same technology being used to create content, like Vogue and Google’s partnership to create a VR series called ‘Supermodel closets’ or Charlotte Tilbury and Samsung’s popular ‘Kate Moss Experience’. And then tech disappears behind interfaces, powering programmatic buying, content delivery, logistics and trend analysis. The pace and nature of this business is changing like quicksilver, no doubt about it. But with this comes an explosion of career choices that are growing rapidly too, requiring skillsets that combine the old and the new. In the Age of You, there’s another ‘you’ who’s not on the buying end of the counter. The ‘you’ on the other side works in laboratories, offices, studios and factories walking the fine balance between ground truth and constructed realities. Knowing this person adds rather than removes from luxury fashion’s desirability. Take the Selfridges collaboration with the Future Laboratory this year. It was an immersive experience called Fragrance Lab where experts in lab coats (a clear nod to the chemistry of scent) guided people through a multi-sensory journey to discover ‘Me in a Bottle’. For consumers, this awareness of skill and effort is also connected with a brand’s perceived authenticity. For those who want to work in fashion and beauty, there’s never been a better time to explore a holistic view of what their impact can be. They are the technical facilitators, creative storytellers and investigators of the human psyche. But these lofty ideas often boil down to one important thing when we talk of careers: what kinds of jobs are paying well with a scope for growth? Apart from traditional roles like fashion design, editorial merchandising, styling and marketing, interest is high in digital functions like web development, graphic design and motion graphics. If you love fashion and want to work from anywhere in the world, tinkering with robots, beakers and software, you’re not the anomaly, you’re one of the early adopters of a larger trend within the industry. But the more things change, the more they stay the same.When you’re trying something new that no one else seems to be doing, it can seem like a lonely endeavour with no reliable precedents. But taking the plunge and seizing opportunities to be seen (or sniffed) is a powerful way to break into rewarding career paths. Despite the changes the industry is going through, a combination of vision and persistence has worked and will continue to work like a charm, from the 19th century to the 21st. 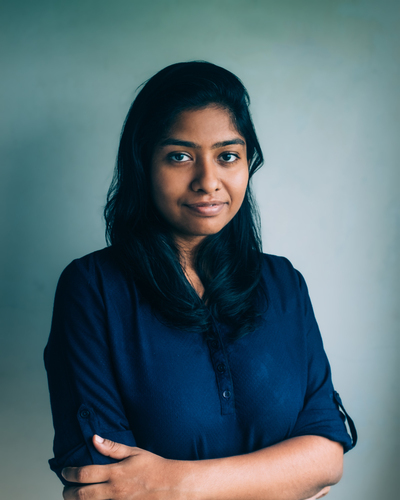 Christina is a writer and the co-founder of Department of New, a communications consultancy based in Chennai, India. She’s worked with tech companies and startups for over 5 years, weaving stories and creating resonance around ideas for the digital age. Some of her recent work includes an editorial fashion-tech series for a Sequoia-funded AI startup, and pieces published in magazines like the Huffington Post and Entrepreneur. Starting with a career in Computer Science Engineering and moving on to Marketing, she now brings together her experiences working with varied products, brands and clients to write about fashion, lifestyle and work culture. When she's not working, she's a self-described wonder junkie who loves nature and totes around a notebook and a camera. Christina is a story contributor for Directory.